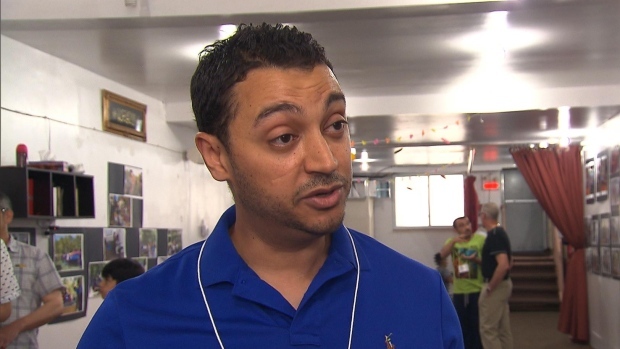 Rachid Hajir, spokesman for the Ahuntsic Cultural [= Muslim] Centre smearing Canadian voters: "Whatever is behind this is purely and simply Islamophobia." It was a small victory, but nevertheless a victory which could well be the first of a longer list if Canadians learn the lesson. Which victory am I referring to here? The recent success of a local referendum in a Montreal borough to oppose the status regularization of a mosque. Indeed, it is a groundbreaking event: on June 5th, a referendum was held in Ahuntsic-Cartierville in order to change the zoning, a change that would have permitted to a mosque to continue its activities legally. 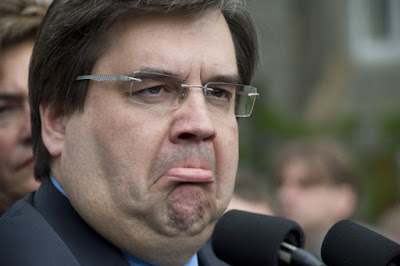 Surprisingly for a borough of a city that elected the multiculturalist Denis Coderre as a mayor, the vote was overwhelmingly opposed to the mosque: 60.5% of the voters opposed the change that would have allowed the mosque to survive. And this turn out happened despite the unanimous support of the officials in favor of the Muslim community center. The mosque is not new on Legendre Street: it had existed illegally for three years, but had decided to regularize its status and had approached the borough council, which supported the regularization. But some of the neighbours were not too pleased and decided to take things into their hands. Legally and democratically that is! The leader of the anti-mosque movement was Nicole Vermette, a normal citizen without prior political involvement, who decided to veto the project by collecting enough signatures to force a referendum. After going door-to-door and distributing leaflets, she managed to obtain more than 130 signatures, therefore forcing the council to launch a referendum. The French CBC jumped on the story and denounced the "Islamophobia" of Vermette and her citizen organization. The Muslim community mobilized itself. All that to no avail: 291 citizens voted against the mosque; 190 voted for it. The citizens had not been duped by the apostles of diversity and tolerance. Concretely, it is hard to say what will happen next. Will the Muslims try to get a new room where it could legally found a mosque? Will they attend a nearby mosque in a different borough? Will they continue to worship illegally? 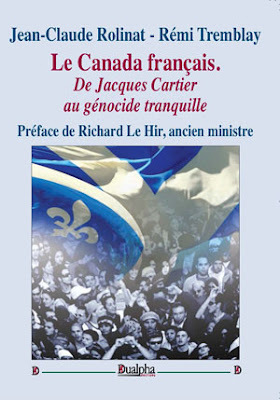 Or will the elected officials "who seek the Muslim vote", to paraphrase Vermette, find a solution to appease both camps? It is impossible to tell right now, but what is clear is that it is a victory for Euro-Canadians. It is a small victory indeed, like sand in cog. But, it could be emulated anywhere else and future mosques could be blocked. It will also force the elected officials to think twice and — who knows — take into consideration the will of the founding peoples. The city councilors who want to be reelected in Ahuntsic will definitely think twice about their political stand in the future elections. It may also simply be too little, too late in a city already counting more than a hundred mosques, but it should rather be seen as a recipe for other people in different cities across Canada who could block similar projects easily. Legally. Democratically (as Mosqueblock does in Great Britain, for example). Unlike marches and demonstrations and unlike the foundation of a party such grassroots activism does not cost anything, except the price of a few hundred photocopies, and does not require a large scale mobilization or involvement. If we compare it to other initiatives to raise awareness to the rise of Islam, it may have proven to be the most efficient and less demanding anti-Islamization action in Canada in years.